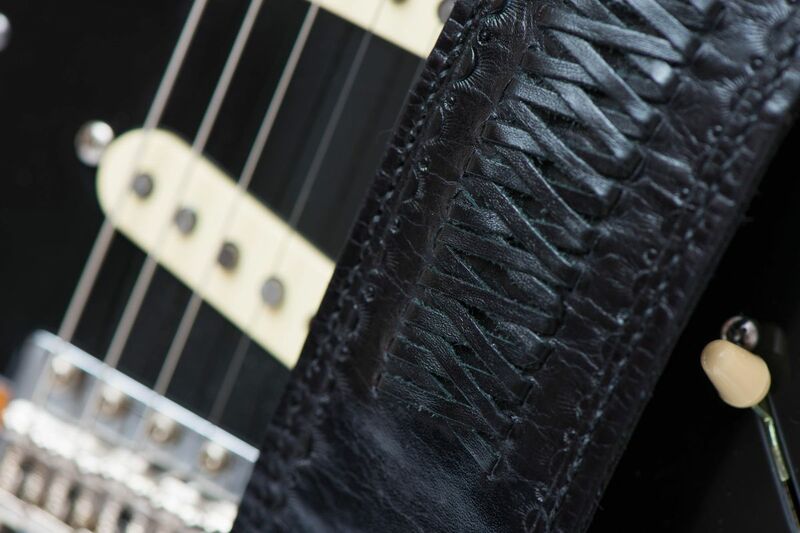 Guitar's straps made of high quality Florentine leather , foam padding covered in leather , leather braid inserts. 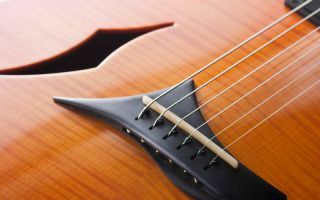 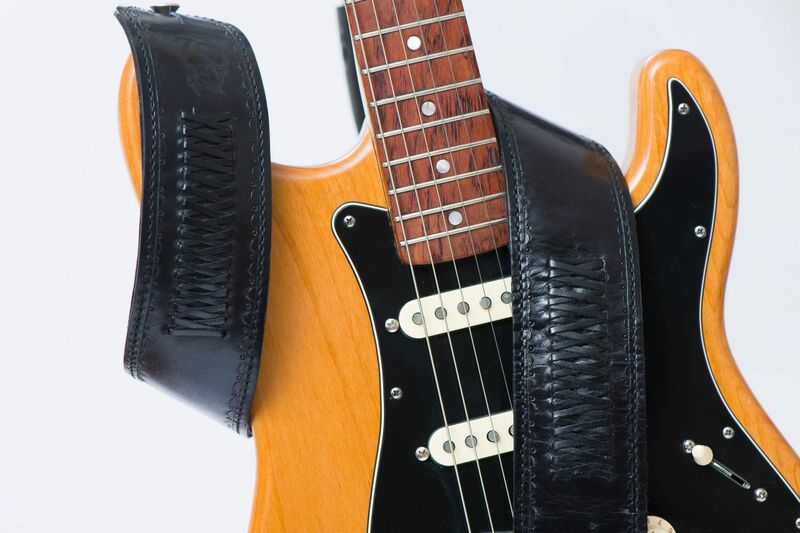 Guitar's strap made of high quality Florentine leather , leather braid inserts, adjustable. 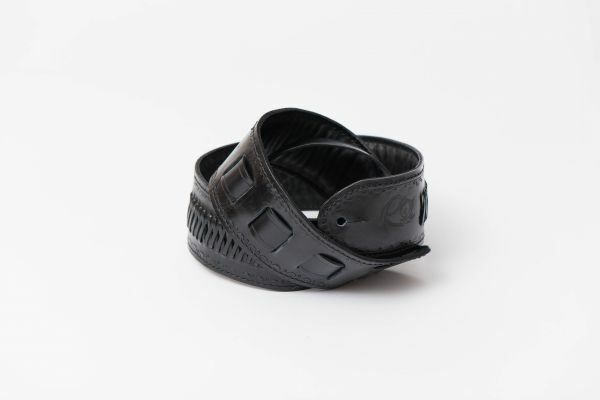 Thin foam padding covered in leather , hand-sewn , leather braid inserts. 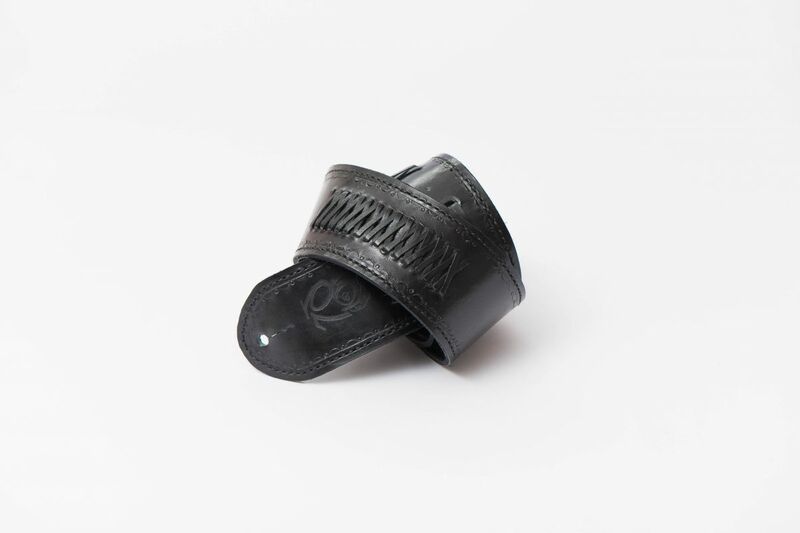 Minimum length 120 x 6 cm , thickness 3.5 mm .